United Gilsonite Laboratories (UGL), a Scranton, PA-based paint specialty manufacturer announced that they received approval from the American Institute of Architects (AIA) to become a Continuing Education Provider Partner. This approval entitles UGL to develop and provide continuing education for credit courses for registered architects and their staff. 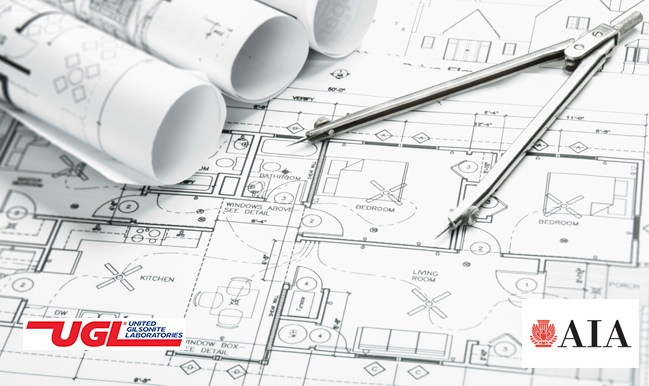 Architects have a constant need for continuing education credits to stay on top of their field and grow the profession, as well as to fulfill specific licensure requirements. As a leader in the paint and coatings industry, UGL is developing an initial continuing education (CE) course to offer practical information that this community needs to provide the best solutions to their clients. Professionals can expect the launch first quarter of 2019. Course presentations will begin in the Southeast U.S. Details of the new CE course will be available on the UGL website from the recently launched “Specifier” webpage in the coming weeks. This new webpage offers tailored content for Architects, Specifiers, and Consultants, including sample guide specifications, CAD drawings, product data sheets and case studies showcasing the many professional uses for UGL’s line of DRYLOK® waterproofing and penetrating sealers, and ZAR® professional wood coatings. The course information and other content are accessible at the following web address: http://www.ugl.com/pro/specifiers.php. You can schedule a CE course presentation by emailing your request to ugllabs@ugl.com. Founded in 1932, United Gilsonite Laboratories is the worldwide leader in the paint and coatings industry. The company offers a wide range of products designed for the building industry.